Hello. 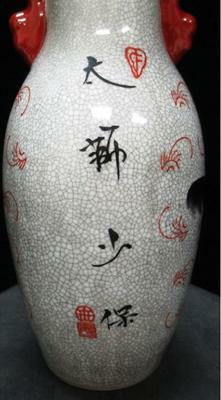 I would appreciate any help you can offer with respect to the age of this vase. I purchased this from an auction. 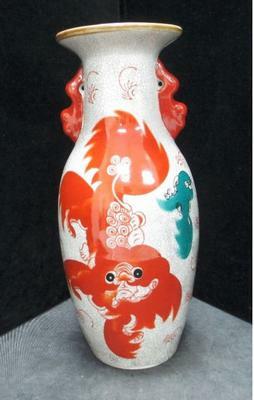 DESCRIPTION: Large antique Chinese vase depicting a single dragon wrapping around the entire vase. The dragon has 3 claws which indicates Imperial origins. 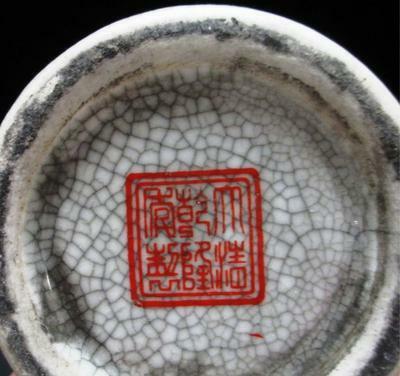 Chinese characters and symbols on reverse side of vase. Marked on the base. Approx. 13" tall and weighs 5 lbs. This is a recent product. The bright colors don't exist an antiques. Apparently painted with 20th century chemical colors. Not sure if the fancy character style meant it was made written by a non-Chinese. But, not the least try at using conventional characters was made to fake it.